I'm delighted to welcome New York Times Bestselling and two-time RITA® Award winning author Laura Griffin to The Romance Dish today. Laura is one of my go-to romantic suspense authors and her new book, FAR GONE received a 5 Star review from Dish guest reviewer, Manda Collins. (read the review here) I have a copy of FAR GONE tucked into my bag and, as you read this introduction, I will most likely be lost in Laura's thrilling new story as I relax on the beach during spring break. That comes pretty darn close to my idea of a perfect day. You can find more information about Laura and her books at her website and connect with her online at Facebook and Twitter. Please give Laura a warm Romance Dish welcome! Hi, Laura! Welcome to the Romance Dish! You’ve just released your first hardcover, FAR GONE. Please tell our readers what they can expect from this book. FAR GONE is the story of Andrea Finch, a homicide detective in Austin who is on leave from her job when she gets an S.O.S. call from her younger brother. Fearing something is very wrong, she goes out to west Texas to investigate and ends up crossing paths with FBI agent Jon North, who is working undercover to solve a murder case that may be linked to a broader plot. Jon believes Andrea’s brother is involved. The anti-government militia storyline of FAR GONE is a danger faced by many countries these days. What kind of research did you do for this book? How was writing a story with potential national impact different from your usual “local” storylines? The idea for this story came when I was visiting an FBI office and the special agents kept making reference to April 19, which was just a few days away. I asked what the big deal was and they explained that April 19 marks the anniversary of the Waco fire and the Oklahoma City bombing, and also the opening battle of the American Revolution. The day is significant to many militia groups, so law enforcement agencies are on alert. I starting thinking about creating a suspense plot around this date. What scares me most about this villain—the homegrown terrorist—is that he could be anyone. He’s from Middle America. In this case, the character is from Texas, but this is a story that could happen anywhere in the U.S.
What would you like readers to understand about your hero and heroine, Jon and Andrea? Jon is drawn to Andrea immediately because she is so fiercely independent. Andrea is attracted to Jon, too, but very wary because he is investigating her brother and she knows he is using her to get inside information. Andrea wants to convince Jon that her brother’s not involved in a vicious murder plot, but Jon believes he is. This distrust gets in the way of their relationship from the beginning and they have a lot to overcome throughout the story. 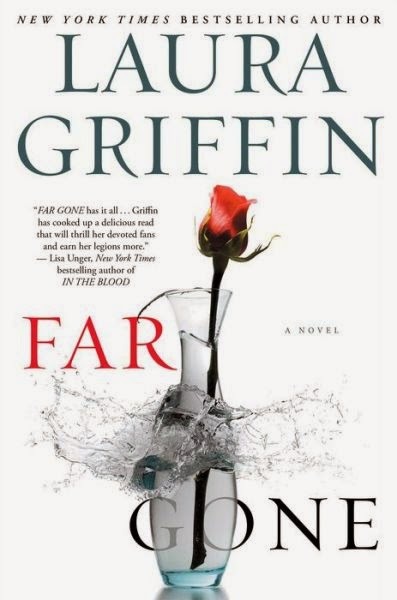 When Manda Collins recently reviewed FAR GONE for us, she shared who she had cast as Jon North in her mind while reading the book (Thomas Gibson). Who would you cast as Andrea and Jon? Did you use any photos or real-life people as inspiration while developing the characters? I can see why she would think of Thomas Gibson. I like that! Before I sit down to write a book, I have to get some visuals in my head. I put together what I call a storyboard that is a collage of images.... people, settings, plus maybe a few quotes that relate to the story’s theme. For the FAR GONE storyboard I had pictures of Rooney Mara and Jon Hamm, who remind me of these characters. But readers probably have their own visual images based on their interpretation of the story... I love to hear the different names that pop up. Your books sit on the keeper shelves of many romantic suspense readers (me included). What books do you enjoy reading? Thank you! Personally, my reading tastes are all over the map. I read thrillers, romance, literary fiction (usually for my book club). I love to read non-fiction, too. I read lots of research books about topics such as crime scene investigation, forensic anthropology, criminal profiling, that sort of thing. Will you be attending any conferences or book signings this year where readers will have the opportunity to meet you? Yes! I’ll be at RT in New Orleans next month, then at RWA in San Antonio this summer. I always love to meet readers at RWA’s big Literacy Autographing, which features hundreds of authors and thousands of book lovers. Hope to see you there! 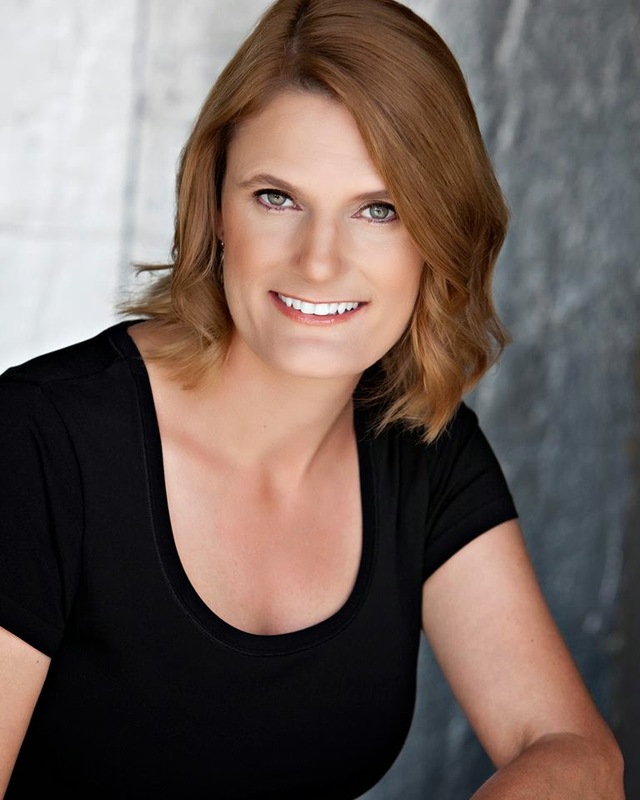 I’m at laura@lauragriffin.com, www.lauragriffin.com, www.Facebook.com/LauraGriffinAuthor or Twitter @Laura_Griff. Drop me a line! I’m writing the newest book in my Tracers series. This story focuses on Derek Vaughn and Elizabeth LeBlanc, who first met in the book SCORCHED. Readers have been asking for their story and I’m happy to say it’s on the way! Thank you for visiting with us, Laura. A question for you, dear readers! Do you like to cast real people in the hero and heroine roles of the books you read or do you prefer to let your imagination create an image? I love Jon Hamm and have pictured him as the hero whenever I see a character described as tall, dark and handsome. Yes, he definitely fits the definition! :) I loved him in the movie THE TOWN with Ben Affleck. I don't really think about any person while reading about the hero.. although I must admit if I am reading a western for instance, John Wayne or Clint Eastwood always come to mind. Not bad western hero inspiration, Kathleen! Hi Kathleen, Thanks for stopping by! When I'm reading books I often get a picture in my head, but it's not usually an actor... just something I dream up based on the author's description. I let my imagination create the characters for me. I tend to do the same. Ditto! Sometimes this leads to disappointment when I see a movie based on a favorite book and the actors don't look anything like what I've got in my imagination. I never think of particular people or movie stars. I sometimes use the cover but usually I wait until I hear how the author describes the characters and make up my own vision. I too come up with my own vision once I get the characater description and read a bit of his personality, don't think of people I know personally though. Congrats on the newest release, Laura, passed on a Tracer book to my mother who's now a big fan. Oh yeah, I like either Gibson or Hamm for your hero. Once in a while, a character's description may remind me of a real person or actor (who could be several "real people"). For the most part though, I like to develop my idea of the character from descriptions in the book. It is often a surprise to see pictures posted of other peoples idea of who the characters look like. Congratulations on the hardcover release of FAR GONE. I hope the release is a big success. It sounds like a great story and one I will enjoy. I prefer to let my imagination run wild. I like my imagine to take over.